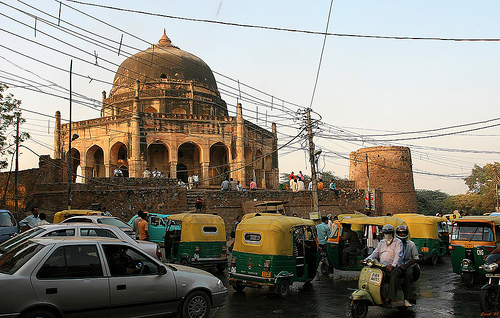 Even historical monuments in India face strains from modern patterns of urbanization. Photo by Carol Mitchell. “If India continues with its current unplanned urbanization path, it will result in a sharp deterioration in the quality of life in its cities, putting even today’s rates of economic growth at risk,” says an April 2010 report published by McKinsey & Company. But in order to meet the increased demand associated with this growth, the country will need to focus its efforts on improving mass transit, developing comprehensive land use plans and providing affordable housing, especially for low-income people. Here, we summarize some of the main transport-related recommendations. The share of public transportation has declined from 40% in 1994 to 30% today.